Featured reports on just-style's research store this week include a look at tomorrow's apparel industry, a review of the workwear sector, and the Chinese apparel market. This report is the third edition of just-style's Tomorrow's apparel industry. As with previous editions, it aims to provide an in-depth look at the apparel industry and provide thought provoking insights. The report sets the scene by reviewing the apparel retail market over the last few turbulent years, assesses the current state of play and then provides scenarios for how the future may play out. Although the workwear market is unlikely to return to its previous form, this latest report on the subject does show signs of optimism. Not surprisingly, the recovery is being led by emerging economies, particularly in Asia, where increasing industrialisation is opening up new markets. While the global apparel market continues on its path to recovery, regional trends paint a mixed picture. This report explores salient trends from a geographic point of view, notably the ongoing power shift from the West to Asia Pacific. It also analyses the evolution of the distribution landscape. The manufacture and use of geosynthetic products started to increase significantly in the late 1960s when European textile manufacturers were spurred to seek new markets for their products as markets for conventional textiles started to decline in the face of competition from lower cost countries. This report assesses the markets for geosynthetic products in developed countries and emerging markets, as well as important end use sectors. Get a detailed picture of the Apparel specialist retailers market in South Africa from this report. 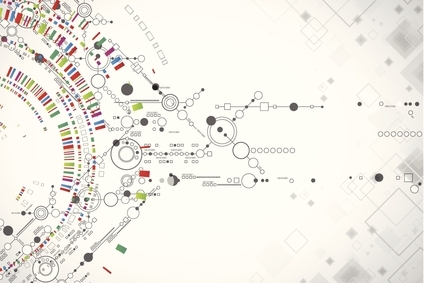 Pinpoint growth sectors and identify factors driving change. Understand the competitive environment, the market's major players and leading brands. Use five-year forecasts to assess how the market is predicted to develop. This Apparel in China report offers a comprehensive guide to the size and shape of the market at a national level. It provides the latest retail sales data 2008-2012 and analysis by distribution format allowing you to identify the sectors driving growth. It identifies the leading companies, leading brands, and offers strategic analysis of key factors influencing the market. Forecasts to 2017 illustrate how the market is set to change. Key to Inditex's success is its unique ‘fast fashion' model which has revolutionized the fashion industry. This diverse product offering has enabled the Inditex group to carve a niche for itself and emerge as one of the largest fashion distributors globally. This profile looks at its success. 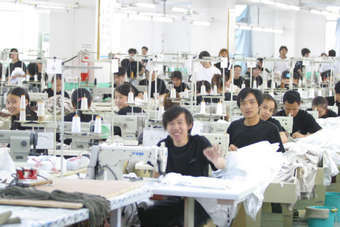 The clothing industry in Cambodia has expanded rapidly since the mid-1990s and has become the largest manufacturing sector in the country. Exports have risen sharply in recent years, and by 2012 combined exports of textiles and clothing represented about 60% of Cambodia's total exports. This report looks at the development of the textile and clothing industry in Cambodia, its size and structure, and production and consumption.